You can easy to scroll icon View, when you tap around red circle. Just try to tap this position. You can pause downloading App, when you tap the icon. When you want to Lock of Rotation. Just Double tap Home button, and slide left end. When it locked, you can see it on top right. 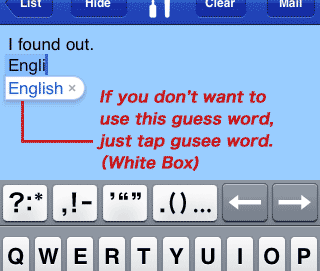 I am wondering how I don't use Guess Word. I finally find out. Here is the way. 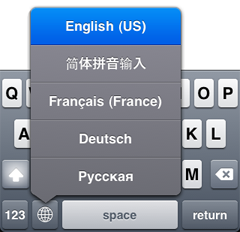 If you are choosing many keyboards, you can select easily to hold down long time on world key. Then Keyboard Select List popup on display. And you just select keyboard which you want to use. When you want to zoom up screen, just set up Zoom On from General > Accessibility. Then just Tap screen with 3 fingers. When you pull out ear phone jack, iPod music stop during listening. Apple Keyboard keys are worked to input, when you release the key! I mean that if you miss tap the key, just slide finger to correct key. So the key works when you touch up (release). Shutter button works, when you release the button! 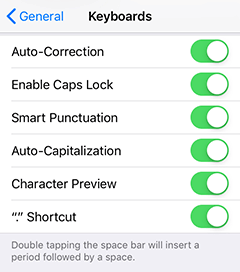 I am using this setting. If you setting as left screenshot, you can control music with our 1Hand series apps & Easy series apps. When you are browsing Safari and scroll down, you can easily to go back to top by tapping Navigation Bar. 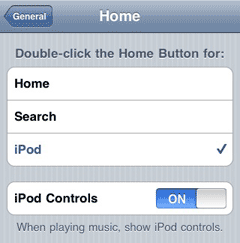 When you have trouble with any application, please restart iPhone or iPod touch. 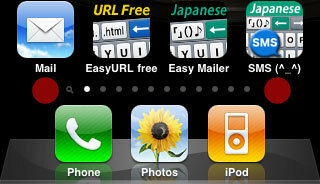 If the trouble is still there, erase trouble application and reinstall or download the application. You tried above of that. And still have trouble with the application, please report to the developer. Copyright (c) Educare All Rights Reserved.